Pharmacodynamics (PD) similarity is an important component to support the claim of similarity between two drugs or devices. This article investigates the trial design and statistical considerations in the equivalence test of PD endpoints. Using bone resorption marker CTX as a case study, the relationship between the PD readouts and drug potency was explored to evaluate the sensitivity of the PD endpoint and guide equivalence margin selection. For PD data that have high baseline variability, one conventional similarity assessment method was to apply baseline-normalization followed by the standard bioequivalence (BE) test (Lancet Haematol. 4:e350–61, 2017, Ann Rheum Dis. 2017). This study showcased the drawbacks of the conventional method for PD data that were close to inhibition saturation, as the baseline-normalization significantly skewed the distribution of the PD data toward non-log-normal. In such cases, the standard BE test can produce an inflated type I error. Alternatively, ANCOVA, when applied to the un-normalized PD data with the baseline as a covariate, produced a satisfactory type I error with sufficient power. Therefore, ANCOVA was recommended for equivalence test of PD markers that has a saturated inhibition profile and high variability at baseline. Moreover, the relationship between PD readouts and drug potency was used to explore the sensitivity of the PD endpoint and it could help justify the equivalence margins, since the standard 80% to 125% BE margin often does not apply to PD. Finally, a decision tree was proposed to help guide the design of the PD equivalence study in the choice of PD endpoints and statistical methods. The online version of this article ( https://doi.org/10.1208/s12248-019-0321-2) contains supplementary material, which is available to authorized users. Chung Chow S, Endrenyi L. Statistical issues in bioavailability/bioequivalence studies. J Bioequivalence Bioavailabil [Internet]. 2011 [cited 2018 Sep 4];01. Available from: https://www.omicsonline.org/statistical-issues-in-bioavailability-bioequivalence-studies-jbb.S1-007.php?aid=2321. Accessed 10 Oct 2018. Liao JJ, Li Y, Jiang X. Comparability of pharmacodynamics profiles with an application to a biosimilar study. J Biometrics Biostatist [Internet]. 2017 [cited 2018 Oct 2];08. 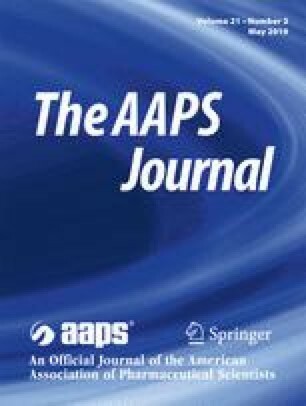 Available from: https://www.omicsonline.org/open-access/comparability-of-pharmacodynamics-profiles-with-an-application-to-abiosimilar-study-2155-6180-1000345.php?aid=89155Accessed 10 Oct 2018. FDA. Prolia (denosumab) label [Internet]. [cited 2018 Sep 4]. Available from: https://www.accessdata.fda.gov/drugsatfda_docs/label/2011/125320s5s6lbl.pdf. Accessed 10 Oct 2018. FDA. Guidance for industry: clinical pharmacology data to support a demonstration of biosimilarity to a reference product [Internet]. 2017. Available from: https://www.fda.gov/downloads/drugs/guidancecomplianceregulatoryinformation/guidances/ucm397017.pdf. Accessed 10 Oct 2018. Ling Z, Kun H. How to analyze change from baseline: absolute or percentage [internet]. studylib.net. [cited 2018 Sep 12]. Available from: http://studylib.net/doc/8421198/how-to-analyze-change-from-baseline%2D%2Dabsolute-or-percentage. Accessed 10 Oct 2018.